After being hit with a virus we greatly improved our backup strategy and this has been a great help! Good, reliable backup of servers and workstations, great support, and easy to set up on servers. Recommend it a lot because it very easy to use and saves a lot of work time. Version 2019 has a very good user interface and is very intuitive. Symantec Data Loss Prevention (DLP) works best when the entire organization (IT, Human Resources, etc.) is involved in the process and works the least when it is just the IT Security department involved. While it is good that Symantec DLP is modular and scalable this can also be a problem if the installation/configuration/etc., is not done correctly and not configured well. Please go to training or you will be a bit lost in the product as well. Good software to used for images operating systems; it supports Windows, Mac, etc. This software can start booting from CD, DVD, USB or from your network. The software has 30 days of free license (trial) to be able to do all the tests that you require. Very easy tool to use, GUI is also user-friendly. Default DLP policies that work out of the box. Modular approach for detection servers. Ability to customize almost everything. I would like the price to be a little less, although I understand that it is a reasonable price. While backing up the system image, the computer becomes a bit slow. Feels like the user agent still needs work. This is better than Ghost - lighter images and faster. 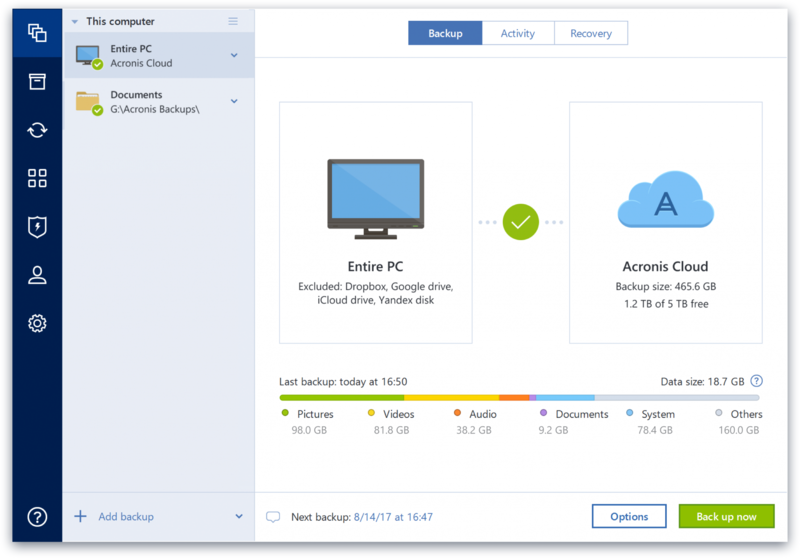 Acronis True Image is the best imaging software currently on the market. Can restore computer failure within some minutes. Symantec DLP is the best. Put it in a head to head competition and it will win. However it can be a bit more expensive than other products so don't compare on price, compare on quality of product. We have seen positive return on our investment from purchasing this software. It's a life saver for us, especially since we have a lot of important data for internal clients at the organization.